We decided this year to organise a small birthday party for our daughter who turns 8. A party so small that we invited only 6 guests, who are all her close cousins. 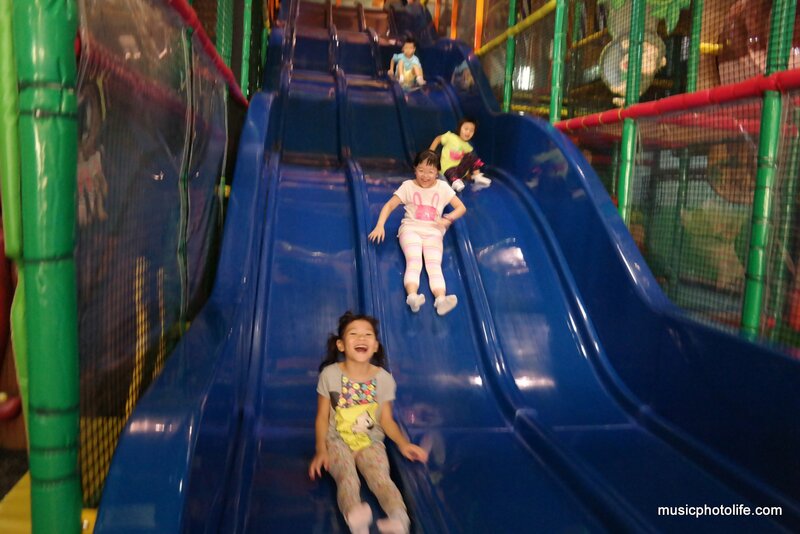 But almost all the indoor playgrounds in Singapore only has birthday party packages for above 10 guests. What we could actually do is to do a walk-in and let the kids have a great time at the playground. But how do we settle the parents and caregivers? Where are they going to sit? How could we offer F&B? And how do we do the cake-cutting without making a scene? So we concluded that we need a playground with large seating area and with decent F&B to feed my guests. There are 2 playgrounds that I can think of. 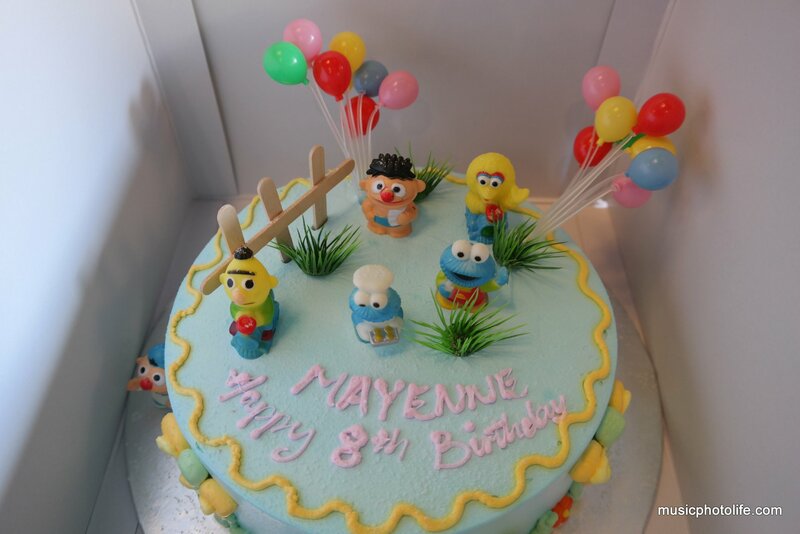 We ruled out Fidgets because Mayenne had her 6th birthday celebration there. The other playground is Amazonia. When we enquired, Amazonia actually informed us that it has a package for parties less than 10 pax. The condition is that guests have to spend at least $200 F&B in order to get guaranteed seats at the bistro. 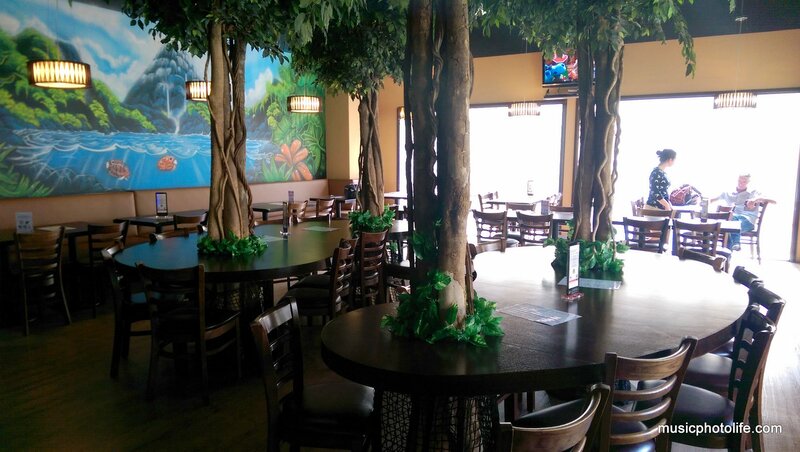 They also charge cake “corkage” fee of $40, and kids get to play the mini-golf for free. When we went down to make a reservation, the staff was very kind to offer alternatives. They suggested that we could actually do a walk-in so that we need not fulfill the minimum $200 F&B spend. The only risk is that there would not be any table reservation. After weighing the risks, we decided to do the walk-in since we plan to hold the party at 10am, when Amazonia opens. Thankfully, all went very well. When we arrived there, the bistro was deserted. The kids had a ball of a time, the adults mingled and ordered food and drinks, we cut the cake, and exited the playground within the 2-hour time limit for weekend walk-ins. As you can see below, the place was packed by 12 noon. 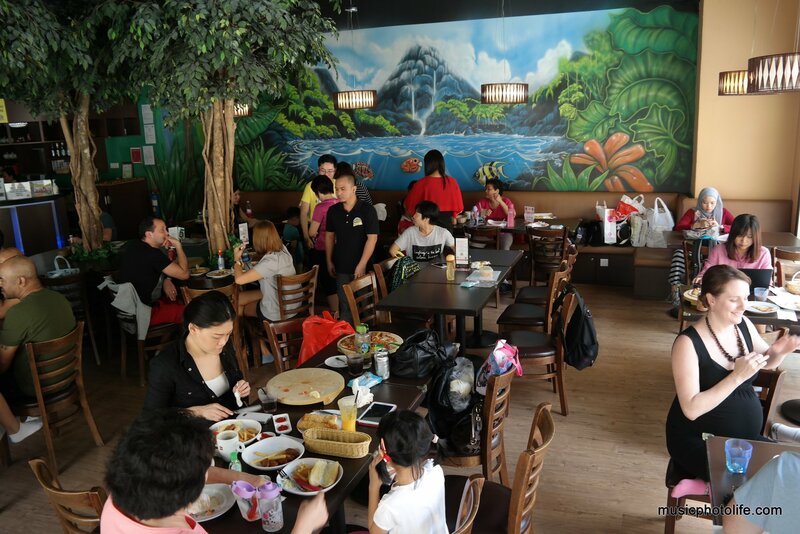 Birthday parties need not be a costly affair with large turnouts. Sometimes, a small cosy group works better because of greater attention given to every guest. We knew we had a successful party when Mayenne said to us “Best Day Ever”. I knew that she had better days (especially those overseas vacations), but in uttering those words, it reflects how much she really enjoyed the party. The other thing that racked our brains is the birthday cake. 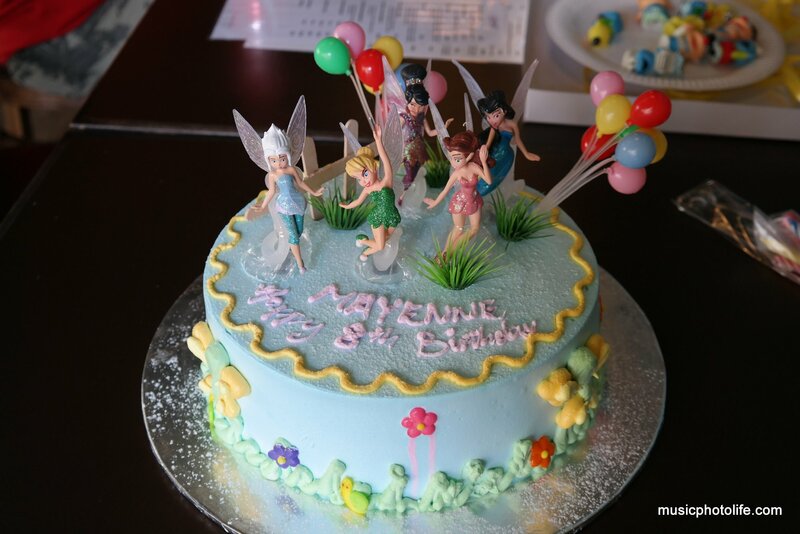 When Mayenne asked for a “Tinkerbell Fairy” cake, it stumped us. I thought she would ask for Princess or Frozen or My Little Pony. Thus began our search for the birthday cake. None of the mainstream cake shops has fairy-themed designs, and wifey couldn’t find any cake-topper through her usual sources. 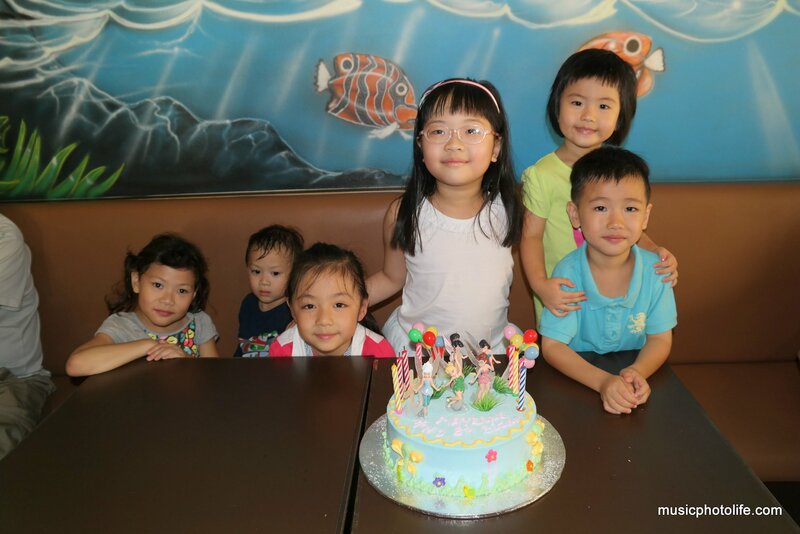 We were almost resigned to getting a “boring” Frozen picture ice-cream cake from Swensens, but, me refusing to repeat last year’s theme, I searched in Carousell for Tinkerbell toys. 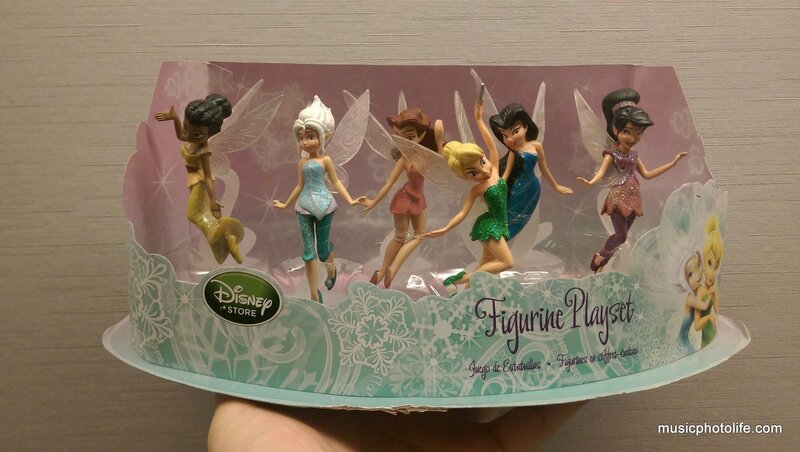 With a stroke of luck, I actually found a seller who was trying to sell a set of 5 Pixie Fairy figurines for over a month. Desperately, I contacted her and she finally responded after 3 hours, long by online marketplace standard. We met up that very evening to ensure we get the item successfully without any last minute withdrawals which sometimes happen to online transactions. Once we were sure that we have the cake topper, we went to Pine Garden’s cake shop to order a cake that we could place the Pixie Fairies on. This was the original cake “Sesame Street” design from Pine Garden’s. And here is our Pixie Hollow Fairies version.